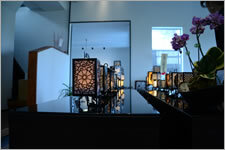 “Gallery Kawari” was started as a small equipment blacksmith in 1907. Now it is renovated as a gallery next to the iron foundry but it still remains the feel of the old Japanese-style housing. “Kawari Andon”,which almost seems as if it’s a paper cutout though it is a metal artwork, and its gentle light creates a comforting space. 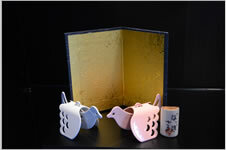 Some metallic handicrafts make us imagine the ancient Nara and Manyo(ancient Era of Japan). These artworks can be made to order so you can have your own design only in the world. Let’s join a tour of Kakimoto Co. to see how the goods in gallery produced up close. 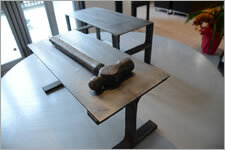 Our foundry began as a small smith in1907 and now it restarted as a iron foundry. You can see how to process iron and stainless to hand-made industrial part and interiors by using a laser beam machining and pressing with heavy machine. Though it is not massive, it is our pleasure to show how to give life to the drawing our spirit of creativity. *Foundry is a bit dusty. Please bring mask if you need. *In Japanese, please contact us. 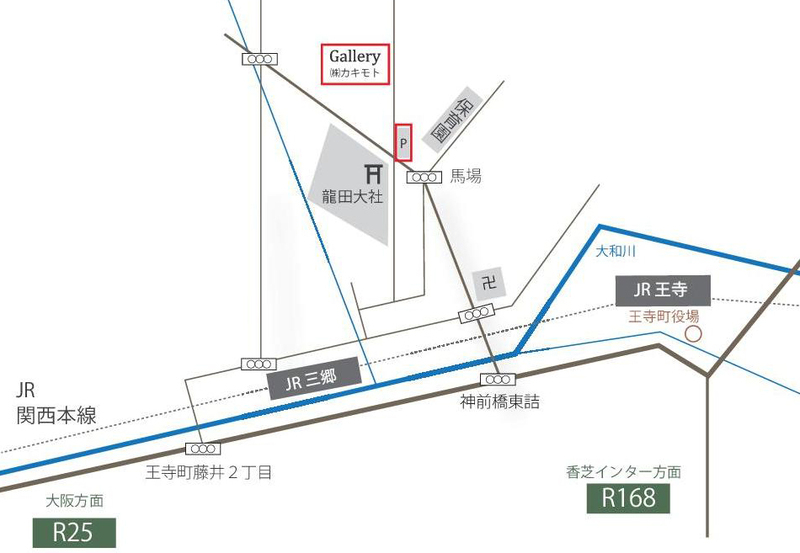 Get off at JR line Sango Station and walk toward “Tastuta Taisha” 15 minutes. Start from “Shinzenbashi”, go straight along Route 25 until you get to “Tastuta Taisha”. Parking lot is at the crossing. You can buy some goods display at the gallery next to the foundry. © 2016 Gallery Kawari All Rights Reserved.